Macally has a reputation for making quality products, and the BOOKLIGHT is no exception. BOOKLIGHT is a rechargeable clip-on lamp that securely attaches to surfaces up to two inches thick. 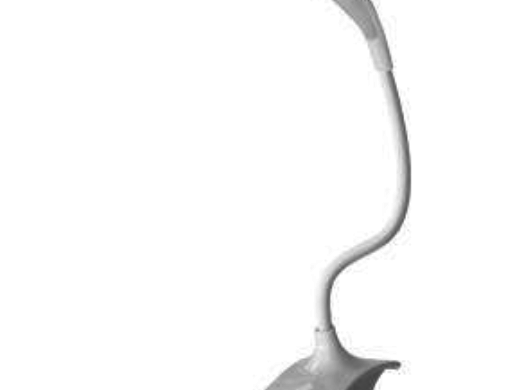 The flexible gooseneck can be aimed wherever the light is needed. It’s great for reading in bed at night, working on needlecrafts like knitting or embroidery, or when you just need a little extra light in your home, car, or just about anywhere. It can also be placed flat on a surface without falling over. The BOOKLIGHT worked straight out of the box but I chose to completely charge it via a USB port with the enclosed cable. A small red dot signifies charging mode then turns off when fully charged. Once charged the BOOKLIGHT can last up to 10 hours. Tapping on a touch sensor on the base of the BOOKLIGHT changes the light settings to dim, mid, and bright. 16 LED’s give an even distribution of light for strain-free reading. Macally recommends using the lowest setting for reading in bed as the brightness could disturb your partner. Personally, I need the brightest light for reading and crafting, plus my husband sleeps through anything, so the light isn’t an issue for us. Your mileage may vary. The only negative I have for the BOOKLIGHT is that it’s easy to accidentally turn the light on. When moving the light be careful not to touch the sensor, or at least check that it’s not on if you don’t want it on. Overall, the BOOKLIGHT is a fabulous accessory for people who like to read in bed or are in situations where they need an extra bit of close up light. With the holidays around the corner the BOOKLIGHT would make a great gift for the reader in your life.